SAN FRANCISCO (Reuters) - LinkedIn on Wednesday plans to launch a section on its network dedicated to business news, seeking to draw users onto the service more frequently to read and talk about current events, company officials said. 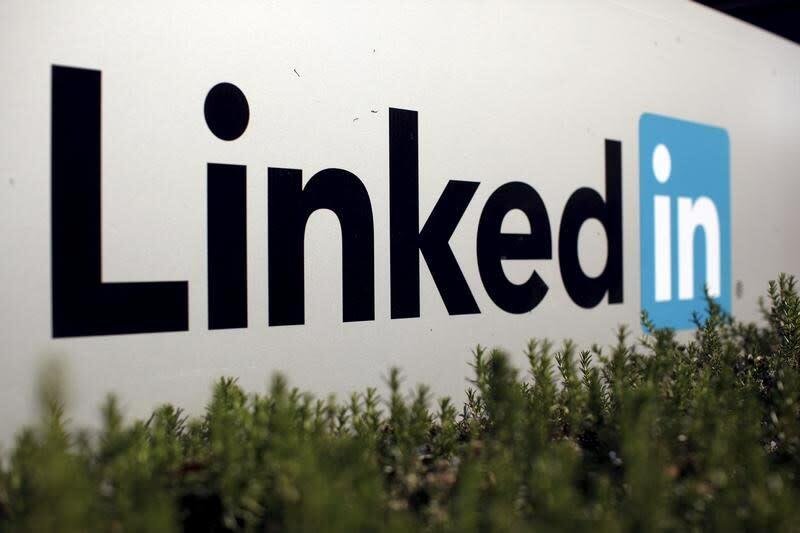 The updates to its website and smartphone app are the latest attempt by LinkedIn, which Microsoft Corp bought last year for $26 billion, to grow beyond its roots as a job-hunting service and to add features associated with social media. LinkedIn is calling the section "Trending Storylines." It will have a stream of links to outside news sources mixed with related posts written by LinkedIn users. A team of editors will choose which stories to highlight, LinkedIn's editor in chief, Daniel Roth, said in an interview. The company will not have reporters of its own. On Tuesday, an early version seen by Reuters led with stories about U.S. and British authorities banning electronic devices larger than a cellphone from airline carry-on luggage. Alongside that news was commentary about the change by LinkedIn users, including Ian Bremmer, president of consultancy Eurasia Group. Social media networks such as Twitter Inc, Facebook Inc and Snap Inc long ago added some kind of feature spotlighting major news stories. Unlike the others, the LinkedIn feed will be limited to topics about professions and business, trying to provide information that would be useful in work meetings, said Tomer Cohen, LinkedIn's vice president of product. LinkedIn has 106 million active monthly users on average and 467 million members in all, according to the company.